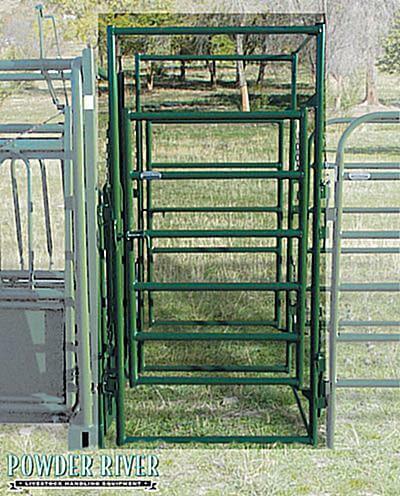 The S2000 head gate is the same headgate offered on the 2000 series squeeze chutes and is very convenient for single person operation. Fully adjustable with quick releases this is a fully featured self catching headgate. The larger opening allows for smooth animal releases. 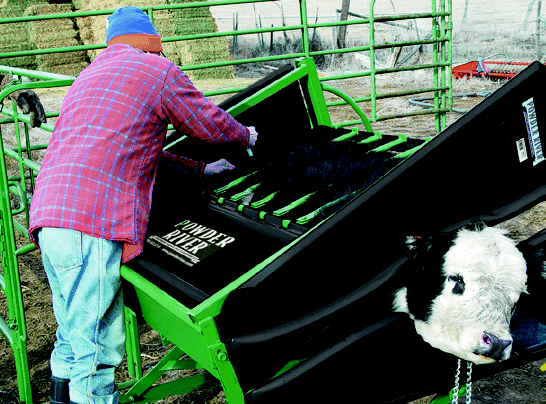 Pin and clevis attachments (included) work with any standard Powder River panels.